Live at Have A Good Laugh fest 2016, flexi = Coming soon! 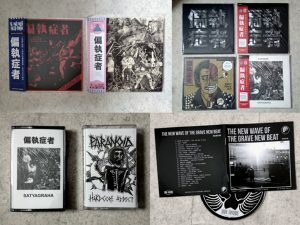 Satyagraha (EUR, reg – Die cut cover), 12″ = SOLD OUT! * Satyagraha (w/ back print), Baseball Longsleeve – M = SOLD OUT! Pictures of the rest of our merch can be found HERE!